Lalita Tademy had always been intensely interested in her family’s stories, especially ones about her great-grandmother Emily, a formidable figure who died with her life’s savings hidden in her mattress. Probing deeper for her family’s roots, Tademy soon found herself swept up in an obsessive two-year odyssey-and leaving her corporate career for the little Louisiana farming community of CANE RIVER. It was here, on a medium-sized Creole plantation owned by a family named Derbanne, that author Lalita Tademy found her family’s roots-and the stories of four astonishing women who battled vast injustices to create a legacy of hope and achievement. They were women whose lives began in slavery, who weathered the Civil War, and who grappled with the contradictions of emancipation through the turbulent early years of the twentieth century. Through it all, they fought to unite their family and forge success on their own terms. Here amid small farmhouses and a tightly knit community of French-speaking slaves, free people of color, and whites, Tademy’s great-great-great-great grandmother Elisabeth would bear both a proud heritage and the yoke of slavery. Her youngest daughter, Suzette, would be the first to discover the promise-and heartbreak-of freedom. Suzette’s strong-willed daughter Philomene would use determination born of tragedy to reunite her family and gain unheard-of economic independence. And Emily, Philomene’s spirited daughter, would fight to secure her children’s just due and preserve their future against dangerous odds. 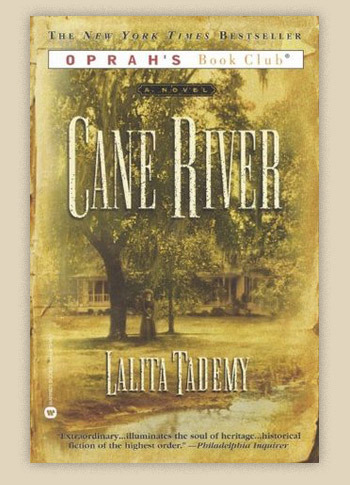 In a novel that combines painstaking historical reconstruction with unforgettable storytelling, Lalita Tademy presents an all too rarely seen part of American history, complete with a provocative portrayal of the complex, unspoken bonds between slaves and slave owners. Most of all, she gives us the saga of real, flesh-and-blood women making hard choices in the face of unimaginable loss, securing their identity and independence in order to face any obstacle, and inspiring all the generations to come.